While the online market is swiftly growing and offers us a world of mass produced goods, there is hardly any scope to personalise these products, which could really make them unique and offbeat. Imagine a website that allows you to customise products and add a special touch, the way you want. This is the next wave of e-commerce. In August 2013 an online marketplace called 'icustommadeit.com' was launched, which connects buyers who wish for one-of-a-kind creations with passionate and professional creators of those goods, from around the country. icustommadeit was established on the belief that customization is the core of any merchandise today. The buyers connect with specialized creators by submitting a description or photo of what they want to customize for themselves. Creators, who are interested get in touch with ideas and send out their proposals to start the project. icustommadeit is a wonderful platform were buyers get to virtually meet sellers and creators. You can glance through the category of listed products under CATEGORIES. Check out a range of their carefully vetted creators who’d be the best match to create whatever you desire. Look through their profiles and zero in on a creator best suited for you. You can choose to create furniture, shoes, jewelry, pens or anything else that you want. You if you can find a suitable creator, then the product can soon be yours! It’s absolutely free and takes just a few minutes. Once you have an idea, it can be a basic concept to a photo of exactly what you want, you can sign up/login with icustommadeit and submit a custom project request by filling up their project form. You can check out the various creators there and can also reach out to a specific creator whose work you find interesting by sending him/her a special invite. I personally am in love with the work of Gehna, Kreeli, Fatfatiya and The Pink Chair. You should absolutely check out their creations. 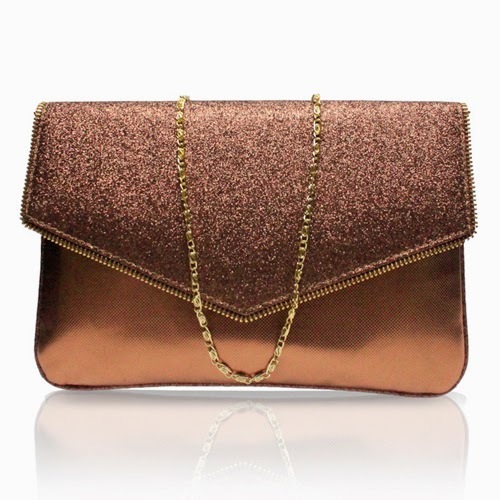 Hazel Lust Sling Clutch: This golden/rust colored clutch is perfect to go with that LBD for a date night. It has a height of 18 cm and is enough to hold your phone, wallet and makeup. 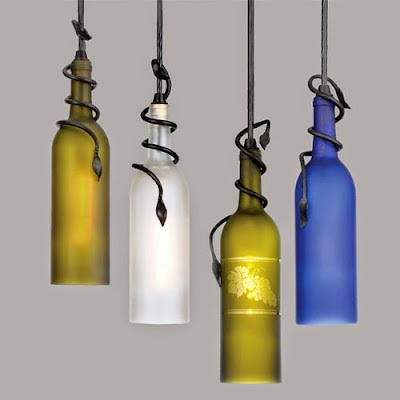 Wine Bottle Pendant Lights: These look fantastic and perk up a room instantly. The metallic finish to them adds a nice rustic feel too. 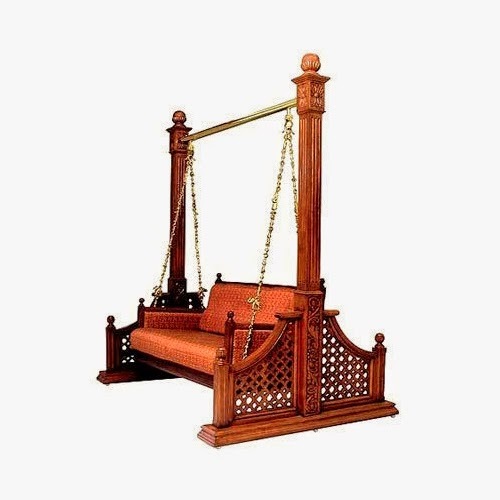 The Garden Swing: This is my most favorite item on the site. The carved wood looks so antique and is perfect to be placed in a garden. This would be the best place to read a book and sip onto some coffee. Once the idea is posted, the creators who are interested in the concept will reply with ideas or questions to help you refine your request. When you decide who you would like to work with, you’ll receive a detailed proposal outlining cost, milestones, shipping and time frame on your Instant Messaging Box/Mailbox. You can accept the proposal and the creation process begins. You can also speak with your creator directly on the IMB till the completion of your project. You are free to share all your ideas, suggestion and can also vent out all your frank, free-spirited mindsets, preferences and details of the customized merchandise at every step. Remember the college projects that we used to do? Well this is exactly like that, except that it happens in the virtual world! How cool is that? As your creation nears completion, you’ll be able to review photos of your finalized project. You can get changes made even then. Once the final approval is done, the creator will ship your project directly to your doorstep. Once you receive your completed custom-made product, let the creator know what you think of it and you can also leave a review on icustommadeit for your product. All this works when you are a buyer and join icustommadeit to get things done. What happens if you are a creator and want to sign up with icustommadeit to sell your creations? Read on. It is essential to create your profile as a creator on icustommadeit. Take some time to provide some information about yourself and your business. This is an opportunity to let the icustommadeit community know who you are as a person and what all you are providing. So, it is important to fill out a complete profile. 1. Tell them about yourself, your skills/interests and your terms and conditions (if any). Give them an account of yourself regarding your work, your achievements as well as your inspiration. Be sure to upload a photo to your profile as it is easier to recognize and relate to a face along with a username. 2. Tell them about your business in precise detail. Give out your information on your business background, your company name, address and contact number. 3. Enter your payment information. You will also have to submit your bank account details along with IFSC or Swift code and PAN card details. That is how you will make money from your creations. 4. Expand your portfolio. Upload maximum project photos and descriptions of your products to showcase your style and expertise, and add the price range. A portfolio exhibits your best work. Upload photos that are well-lit and focused. Always showcase each item from a few different angles. This will give clarity and also add to your profile. 5. After your profile is complete, our Creator Connect Team will review it. As soon as the team will review and approve it, you'll go live. Please note that each buyer and creator account must be created using a unique email address. If you wish to sign both as a Creator and Buyer, you will need two separate email addresses. This is how you get to be a part of the icustommadeit family as a creator. So if you have the creative skills this is the place for you to be. Pitch in your idea and choose one of the many creators on this platform and give life to your bright ideas. If you are not able to find a matching bag for that dress of yours, do not panic. Just get it made at icustommadeit. You can also get shoes and jewelry made to suit all your needs. These would be the perfect gifts to a loved one. You can include a customized message in your product for them to show how much you love and care for them. Make the most of both world with icustommadeit. The gates to bespoke are now open!